Nutrition Care Process - eatrightPRO... High-quality documentation in patient records is essential for patient safety and plays a prominent role in the delivery and evaluation of dietetic/nutrition care. We aimed to evaluate dietitians' documentation in patient records according to the four steps in the Nutrition Care Process: assessment, diagnosis, intervention and monitoring/evaluation. 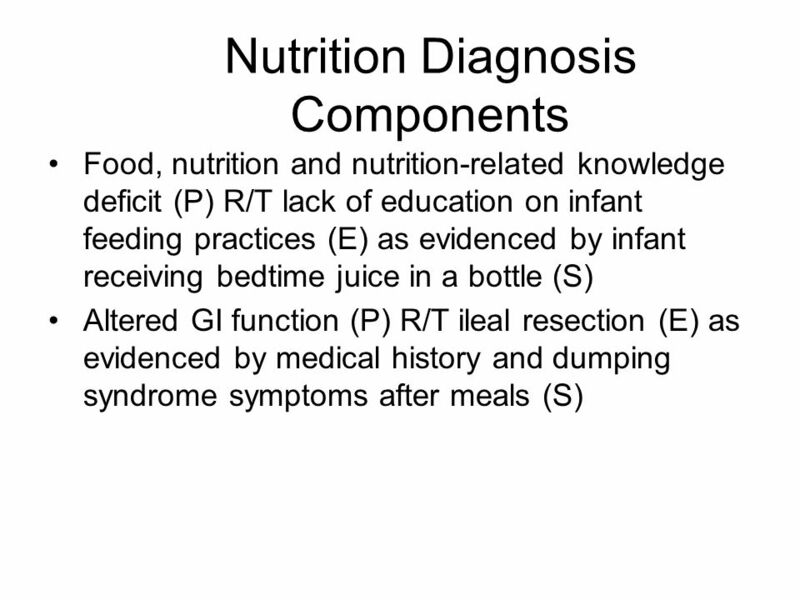 Write a Nutrition Diagnosis, as described in the Nutrition Care Process and Model (NCPM), and apply the appropriate International Dietetics and Nutrition Terminology (IDNT); Assess supplements that can interact/impact a patient/client's renal function;... Nutrition Assessment. This post is Part 1 of IDNT and the Nutrition Care Process. It’s an adventure through the world of IDNT (International Dietetic and Nutrition Terminology) and the Nutrition Care Process. THE NUTRITION CARE PROCESS AND PUBLIC POLICY STATEMENT INTERNATIONAL DIETETICS AND NUTRITION TERMINOLOGY applied to provide individualized nutrition care for a client. This model can also be applied in a group setting or for nutrition programming targeted for a defined population. In these cases, the process is at the group or population level; the characteristics of the …... 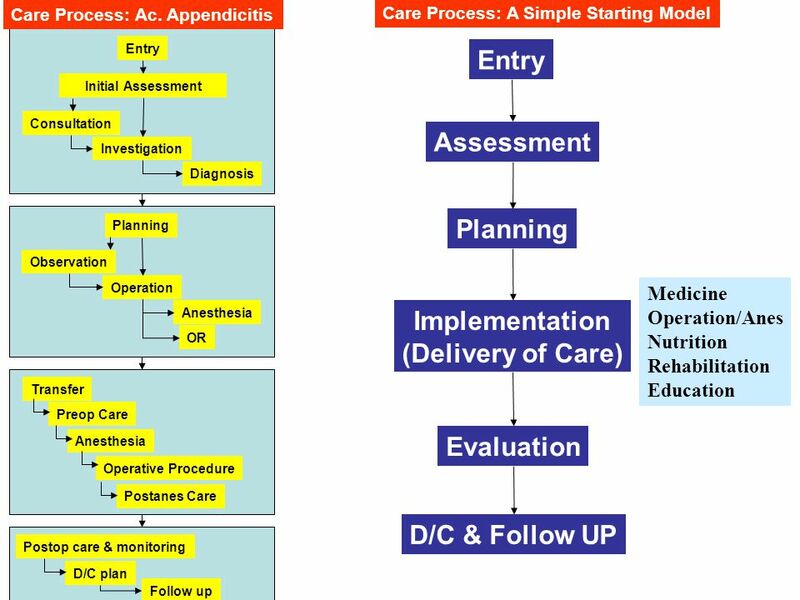 Nutrition Care Process - ncpro.org. Ncpro.org The Nutrition Care Model is a graphic visualization that illustrates the steps of the Nutrition Care Process as well as internal and external factors that impact application of the NCP. The Nutrition Care Process (NCP) and International Dietetics and Nutrition Terminology (IDNT) are recommended by the International Confederation of Dietetic Associations for international adoption as a framework for dietetic practice. 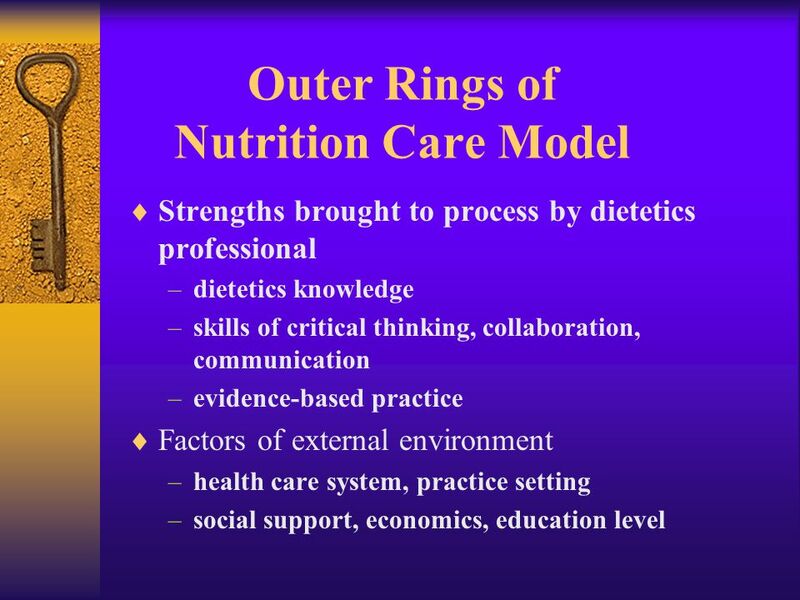 The Nutrition Care Process is a standardized model intended to guide registered dietitian nutritionists and dietetic technicians, registered, in providing high-quality nutrition care. High-quality documentation in patient records is essential for patient safety and plays a prominent role in the delivery and evaluation of dietetic/nutrition care. We aimed to evaluate dietitians' documentation in patient records according to the four steps in the Nutrition Care Process: assessment, diagnosis, intervention and monitoring/evaluation.